Bank of Tokyo Mitsubishi-UFJ agreed to pay $250 million to the state of New York to settle claims it transferred billions of dollars for countries facing U.S. sanctions including Iran, Sudan and Myanmar, state regulators said. The Bank of Tokyo Mitsubishi-UFJ moved an estimated $100 billion through New York for government and privately owned entities in Iran, Sudan and Myanmar, which are on the Specially Designated Nationals list issued by the U.S. Treasury Department’s Office of Foreign Assets Control (OFAC) between 2002 and 2007, the New York State Department of Financial Services (DFS) and New York Governor Andrew Cuomo said in a statement. The transfers involved about 28,000 clearing transactions totaling an estimated $100 billion, the department said. The bank routinely stripped information from wire transfer messages that could identify countries and people subject to international sanctions, the department said. The Bank of Tokyo instructed employees that “in order to avoid freezing of funds” they should “omit” information that could have identified transactions involving an “enemy country,” according to the statement. 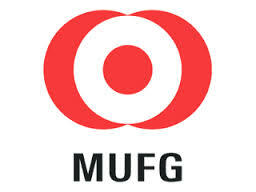 Mitsubishi UFJ Financial Group Inc. (8306), Japan’s biggest bank by market value, is the largest shareholder in New York-based Morgan Stanley (MS) and owns San Francisco-based lender UnionBanCal Corp. The company was the world’s biggest bank when it was created in 2005 through the merger of Mitsubishi Tokyo Financial Group Inc. and UFJ Holdings Inc.
“We have and will continue to take a hard line in rooting out misconduct at banks that threaten our national security,” Benjamin Lawsky, the superintendent of the department, said in the statement. In 2007, the bank “self-identified the issues cited today by DFS, voluntarily and promptly ceased the practices, reported them to all of its regulators, and has been cooperating fully with its regulators on these matters,” Dan Goldstein, a spokesman for the bank with Sard Verbinnen & Co., said in a statement. The bank will retain a consultant approved by the department for a one-year compliance review of the bank’s operations, Goldstein said. “BTMU is committed to conducting business with the highest levels of integrity and regulatory compliance, and to continually improving its policies and procedures,” Goldstein said. In December, the bank reached a separate agreement with the Foreign Assets Control office, paying $8.6 million to settle charges it had removed information from $5.9 million in fund transfers that might have caused the transfers through the U.S. to be blocked or rejected because they involved sanctioned parties. Today’s settlement with New York focuses on “alleged violations of New York state record-keeping requirements, not alleged violations of federal sanctions law,” which is the processing of transactions for sanctioned parties, John Sullivan, spokesman for OFAC at the Treasury department, said in a statement. Others banks have been penalized by U.S. regulators for money laundering or for handling money transfers for countries or entities under sanction by the U.S.
Standard Chartered Plc (STAN), Britain’s second-largest bank, agreed to pay $667 million to U.S. regulators after they alleged it violated U.S. sanctions with Iran, making its final settlement in December. The lender in August 2012 was accused by Lawsky of helping Iran launder about $250 billion in violation of federal laws, keeping false records and handling lucrative wire transfers for Iranian clients. Of the $667 million settlement, $340 million was paid to New York. HSBC Holdings Plc (HSBA) agreed in December 2012 to pay $1.9 billion in penalties as part of a deferred prosecution agreement that settled U.S. probes of money laundering tied to Europe’s largest bank, making it the largest such accord ever. Mitsubishi could not read english ‘rules’.